Earth Day Santa Cruz 2019 is an exciting community event offering educational information, activities for kids including an arts and crafts tent, live music and a focus on green businesses. Come, enjoy and support this fun environmental celebration for the whole family as an Earth Day Volunteer! There’s lots of ways to volunteer before during and after the event. You can help at the rock climbing wall, be an Eco-Station Educator, help the flow of traffic, provide information to event attendees, check drink tickets, gather folks downtown, set up, clean up, and so much more. 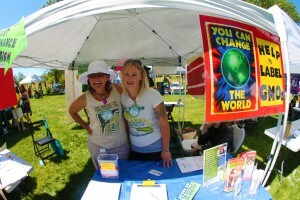 As a volunteer, your time and energy will go into making Earth Day a big success. You’ll be energizing the Santa Cruz community about the environment all while attending a fantastic event and even getting a free lunch.